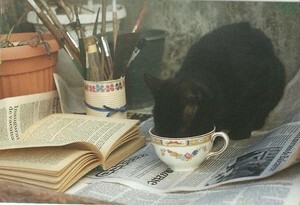 A thee cup kitten! *lol! * 😊. Had to share this photo, so cute! Have a great day, hun! 🤗. Wallpaper and background images in the yorkshire_rose club tagged: photo berni bff bestie berni sunshine. posted één maand geleden 1.